Côté Mer Po5A self-catering apartments are situated 250 metres from the beach and 400 metres from the Palais des Festivals in Cannes. They feature free Wi-Fi access, modern decoration and a south-facing, furnished terrace. There is living room with a dining area and a fully equipped open-plan kitchen. The lounge area includes a flat-screen TV with cable channels and an iPod docking station. There is 1 bedroom and a bathroom with a shower, a hairdryer and free toiletries. 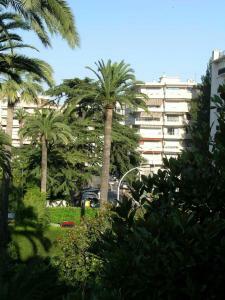 Côté Mer Po5A is 250 metres from Canne’s Croisette seaside promenade, and 50 metres from the lively Rue d’Antibes. Cannes Train Station is 400 metres away. Guests are kindly requested to contact the property at least 1 day before arrival to arrange key handover. Contact details can be found on the booking confirmation. Guests are also requested to leave the apartment tidy, otherwise extra charges may apply.